SeeSaw is one of my favorite tools for creating and maintaining digital portfolios. In fact, I featured it in a workshop that I facilitated yesterday. 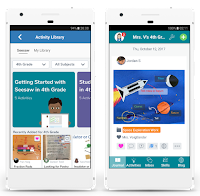 This week SeeSaw added some new options to their free Android app. Students can now use the app to respond to activity prompts that their teachers have shared. Students can also use the app to add labels to the pictures and drawings that they add to their portfolios. Teachers can use the updated SeeSaw Android app to view the public SeeSaw Activity Library. Earlier this summer SeeSaw added some features that teachers can use on the web and in the mobile apps. 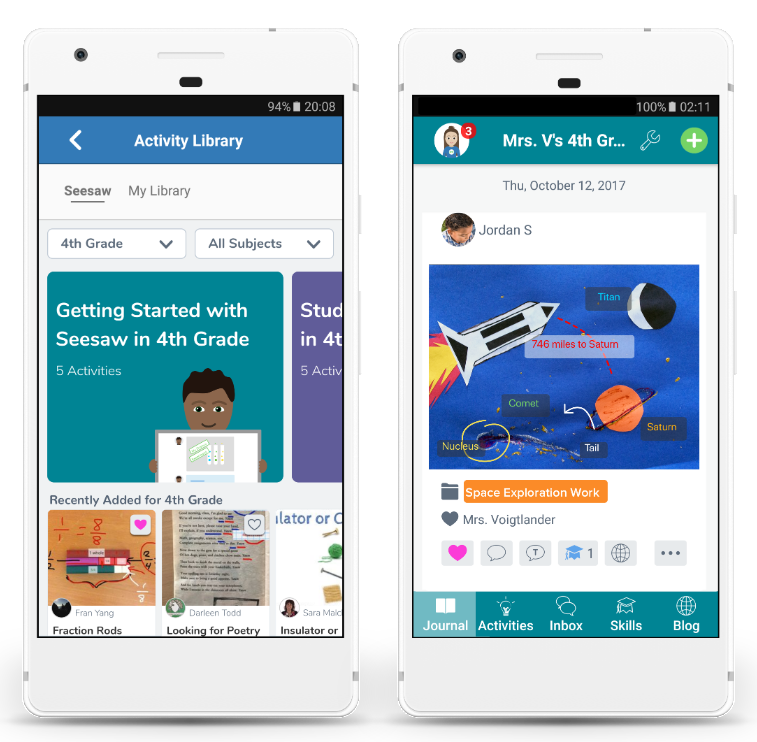 The highlight of those new features being an expanded activity library that contains more than 1500 activities created, used, and submitted by SeeSaw's teacher ambassadors. The library is arranged by grade and subject. Watch my video to learn more about SeeSaw's expanded activity library.